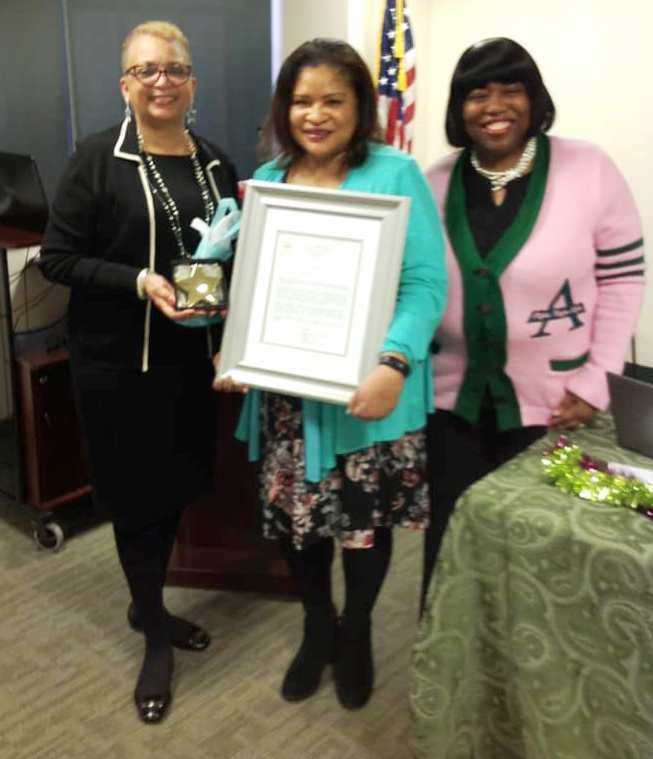 On December 8, 2018 at the Beta Chi Omega Chapter meeting, the Beta Chi Omega chapter of the Alpha Kappa Alpha Sorority, Inc. was recognized by the City of Roanoke on its 80th Anniversary. A proclamation was received from Mayor Sherman Lea, as well as a “You Are A Star in the Star City” keepsake. Beta Chi Omega was chartered in Roanoke, Virginia on December 3, 1938 with Eunice Poindexter serving as its first president. Councilwoman Anita Price and Beta Chi Omega member, Cleo Kitt, presented the proclamation and star to the outgoing president, Pamela Edwards, who accepted on behalf of the chapter.